Please check the number and try again. 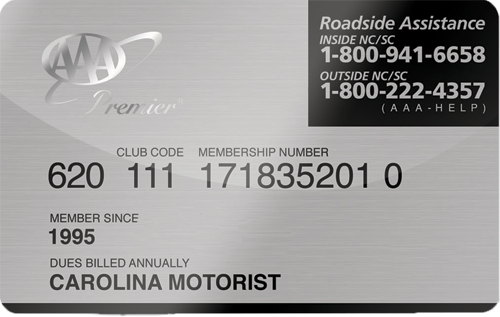 This membership level is ideal for members who drive short distances close to home. The gift of a AAA Membership will ensure your loved one is covered while on the road, whether they’re the driver or a passenger. Please verify the address information. Only residents of NC or SC may join. Prefix Ms. Mrs. Mr. Rev. Dr. Please provide your middle name. Please provide birth date as a valid, prior date in format mm/dd/yyyy. Please provide a valid mailing address. Periods, spaces, dashes and hyphens are allowed. Please provide a valid city name. Periods, spaces, dashes and hyphens are allowed. Please specify the state you live in. Please provide a valid 5-digit zip code. When should the gift membership begin? Gift Memberships cannot be past-dated and may only be scheduled 60 days out. Is this a one-time or recurring gift? Who should we mail the membership cards to? Please verify the address information. We're sorry, but we are unable to process your credit card. Please check your card information or enter a new card. We don't recognize your promo code. Please check the number and try again. By enrolling in automatic renewal, you save $5 today and at each renewal. Do you want to enroll in automatic renewal and receive this discount today? You have given the peace of mind that AAA has been providing for over a hundred years! We've successfully processed your payment of $. We'll email you a reciept. Membership cards will be mailed soon. 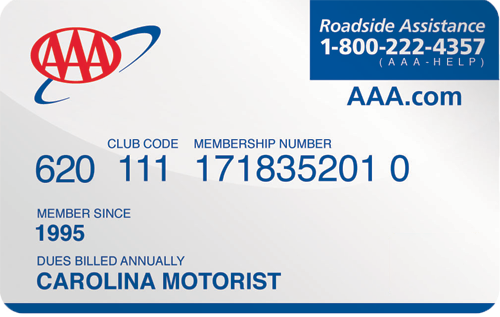 Remember, in addition to roadside service, AAA membership can save you money on AAA services and at 1,000s of retailers nationwide! 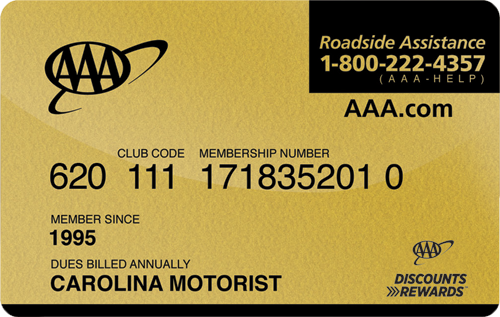 To learn more about what's included with a AAA membership, check out our online membership guide.